Sharon and Chris Smitka are Kid's Closet Connection’s dynamic duo. 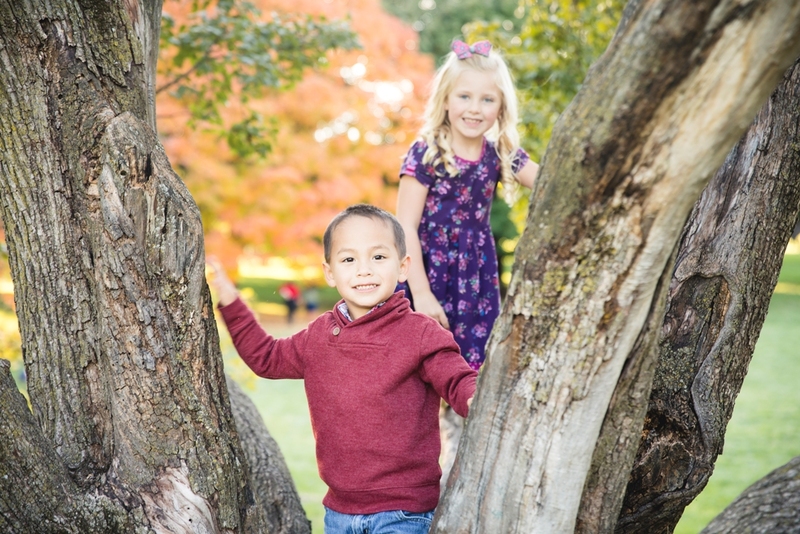 Chris and Sharon’s top priority is family, and that is the cornerstone of Kid’s Closet Connection. 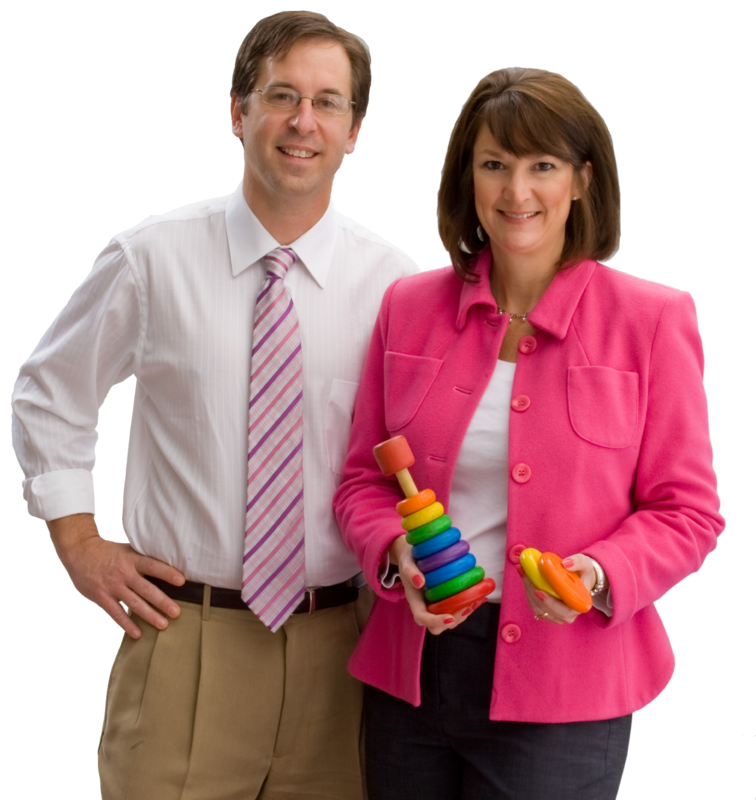 While the Smitka's each use skills they developed in their successful engineering and business careers to nurture and grow Kid’s Closet Connection, Sharon and Chris create community and camaraderie around their sales. Kid’s Closet Connection brings local communities together. These sales are a simple way of connecting people who want to SELL their outgrown gently-used children’s items – clothing, toys, strollers, furniture – to those who SHOP and buy those items at huge savings. People SHARE their time and talents by volunteering at sales events, and also by giving unsold items to local charities. Owners of Kid’s Closet Connection sales are responsible for securing a space, advertising and promoting the sale. =This is an exciting business opportunity for individuals who are self-starters, community-oriented and entrepreneurial in spirit. 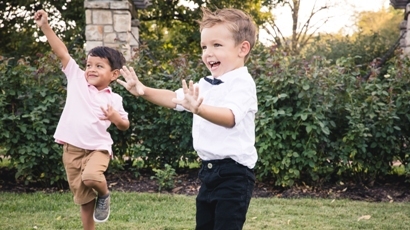 Our franchise fee of $6,000 is the lowest in the industry and as a respected Kid’s Closet Connection franchise, you will receive support, training and instant friendships with other franchisees. And, as a business owner, the self-directed work you put into cultivating your Kid’s Closet Connection sales affects your earning potential. At KCC, we want to keep as much money in the hands of our owners so they can continue to invest in their business. So, we do not charge any additional website fees, updates to our POS system, and we have no upcharges on any promotional products including printing, etc. Kid’s Closet Connection sales are healthy and growing. innovative family of franchisees and the feedback they receive. • Be your own boss, which allows you to have national contacts, but host sales with autonomy. Flexibility is key and that allows persons to also focus on family and community obligations. • Receive instant recognition in a national marketplace, with resources of proven procedures and support staff. • Have a lower exposure to costly missteps, as you build your own franchise with an established business with a national reputation. • Become part of a fiscally-responsible business, with low overhead, which means a lower up-front cash investment, without sacrificing value. There are no maintenance, marketing, website, online social media promotion, or hidden up-charges on branded materials. • Network with other franchise owners at routine conference calls and annual conventions. • Take advantage of incentives that encourage super sellers to transfer items to other Kid’s Closet Connection sales with no additional fees. • Take advantage of our highly adaptable model, which can also cater specifically to holiday sales for children’s items or college sales in university towns. • Utilize Kid’s Closet Connection’s specially-designed, proprietary integrated tagging, customer management and point-of-sale system. Of all the franchise business opportunities available to women and moms, Kid’s Closet Connection has one of the most affordable franchise fees. Remember, our founder, Sharon Smitka, was a stay-at-home mom, too. Our franchise fee and the initial investment required have been kept within a range that is manageable for many working mothers who refuse to sacrifice time with their families for a career. KCC’s franchise business model is flexible and so are the initial investment costs. The initial franchise fee for a KCC franchise is $6,000. We feel our fee structure offers the best value in the industry and we would love the opportunity to explain why this is. In addition to the franchise fee, there are other costs such as advertising and space rental that you will incur when operating your franchise. As you can imagine, these costs can vary quite a bit, but the great thing is that much of this variation is under your control. As a general rule of thumb, you will need between $10,000-$15,000 to purchase a territory and run your first event. A detailed breakdown of the costs involved in running your franchise will be covered during our phone interview process. While this is representative of what KCC franchise buyers can expect in terms of franchise fees and cash needed to acquire their own business. Like any business, additional investment might be required later to continue growing your kids clothing consignment sales. However, what you invest is largely up to you and is dependent on your comfort level. At Kid’s Closet Connection, we realize that our sales are not only FUND-raising for the franchise owners and the families that sell their unique gently-used items; we are also FUN-raising, because it just FEELS good to be engaged in the community through our sales and donating items to those who are in need. • An Operations Manual. 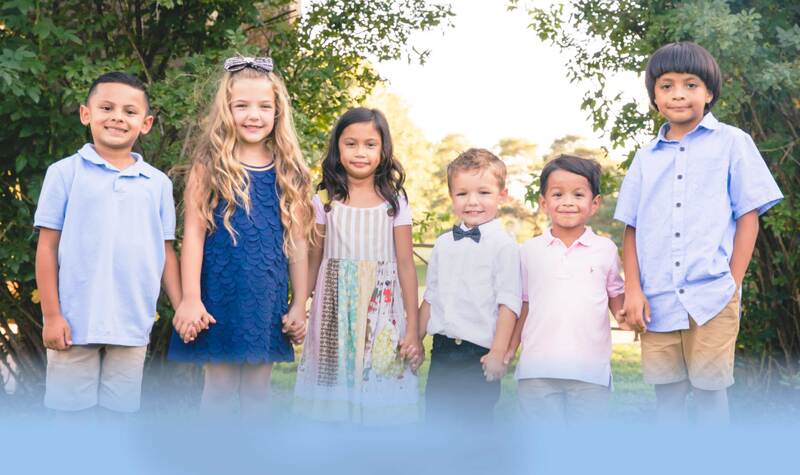 All Kid’s Closet Connection franchise owners receive a comprehensive step-by-step procedural and practices manual for marketing and staging a successful Kid’s Closet Connection sale. The manual is based on years of experience and tried-and-true practices that come from staging sales. • Extensive Training. Kid’s Closet Connection franchise owners will attend training sessions that cover computer training for bar-coded sales system, targeted marketing, site selection, systems support, franchise web pages, clothing rack design, merchandising guidelines and customer relations. • Networking within Kid’s Closet Connection franchise family. All Kid’s Closet Connection franchise owners participate in regular discussion forums with each other via social media and conference calls. These regular forums are an opportunity to share ideas, with the Annual Convention as a way to further friendships and receive additional business training through seminars. Kid’s Closet Connection founders Chris and Sharon Smitka are available to talk with you and share ideas, since they still host the flagship sale, as they’ve been doing since 2004. • National reputation AND buying power. As a Kid’s Closet Connection sale owner, you not only have a respected reputation, you will have access to a national network of suppliers with recognized discounts for our many members. The ability to negotiate for services results in significant operational cost savings for all members in the network. Kid’s Closet Connection sales events can be successful in every geographical region and community - - whether urban or suburban. As a Kid’s Closet Connection franchise owner, you will have your very own territory, which is defined as a county or zip code. A territory should consist of at least 100,000 people, but have no more than a population of 400,000 persons. Despite being a fast-growing company, Kid’s Closet Connection still has franchises for sale. This map details metropolitan areas that have franchise opportunities. Areas open for franchising include Denver, Las Vegas, Columbus, Cleveland, Cincinnati, Houston, Dallas, Chicago, Philadelphia, Pittsburg, Miami, Atlanta, Detroit, Minneapolis, Tampa, St. Louis, Baltimore, Charlotte, Portland, Nashville, Raleigh, Salt Lake City and Milwaukee. We have many more areas open for franchising! If you don't see your community listed, please email us at franchises@kidscloset.biz. But, no matter where you live, there is a Kid's Closet Connection franchise business opportunity for you. Fill out our FRANCHISE INQUIRY FORM to start your own business. In which geographic territory are you interested? Submitting this online application doesn’t constitute any type of agreement with Kid’s Closet Connection.